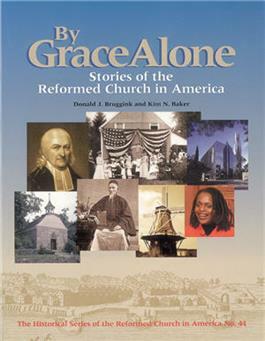 By Grace Alone is the exciting and hope-filled story of the Reformed Church in America. The story begins in Europe, with a brief history of the church out of which the Reformation grew. The scene then shifts to New Amsterdam in 1628, where a minuscule church survived the English conquest and eventually grew into the Reformed Church in America. By Grace Alone follows its story into the twenty-first century. Along the way it sheds light on why and how the church grew, its conflicts, its strengths and weaknesses, the development of its schools, and its incredible missionary endeavors at home and abroad. In addition to the sequential story of the Reformed Church's development, there are vignettes of people involved in events small and great—from the diary of a frail young woman who survived near calamity at sea but ended her life at eighty-one, the widow of the president of Queen's College, to the boy from a farm in Iowa who built the Crystal Cathedral. The reader will also be helped by timelines in every chapter, as well as a glossary, an index, and many illuminating illustrations.